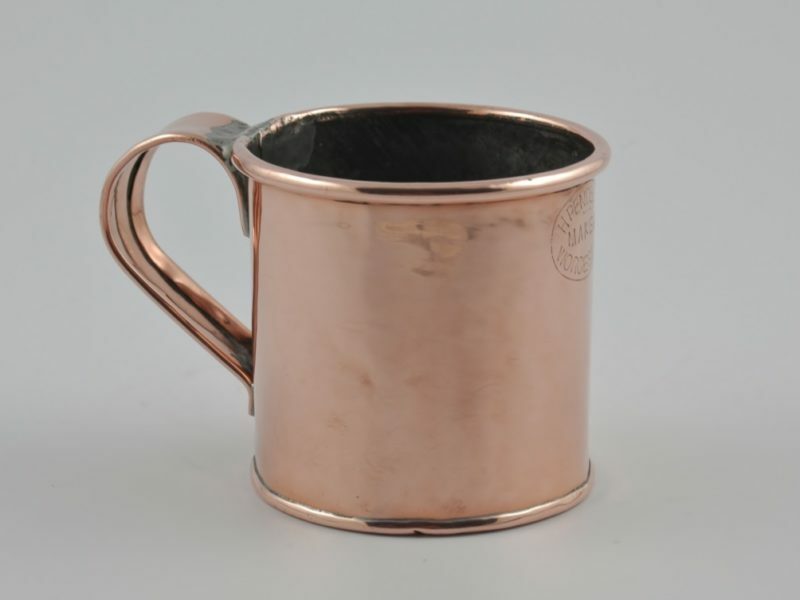 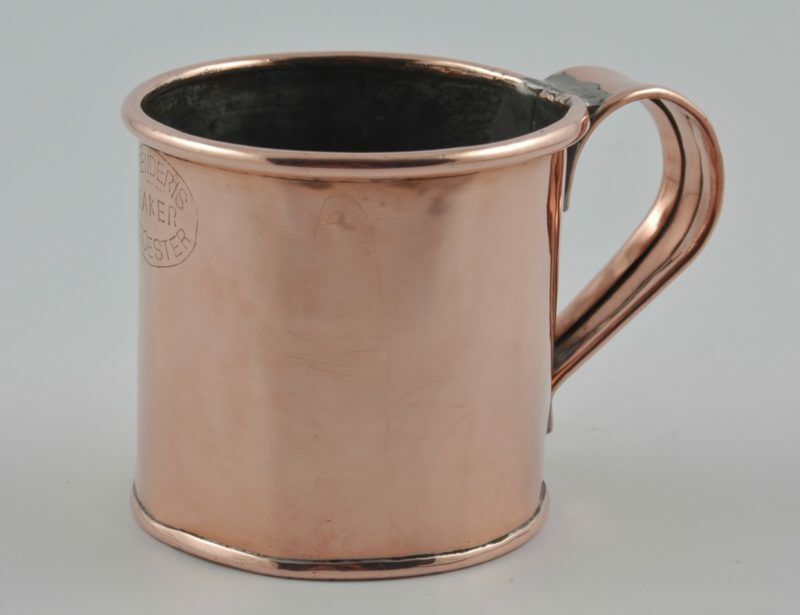 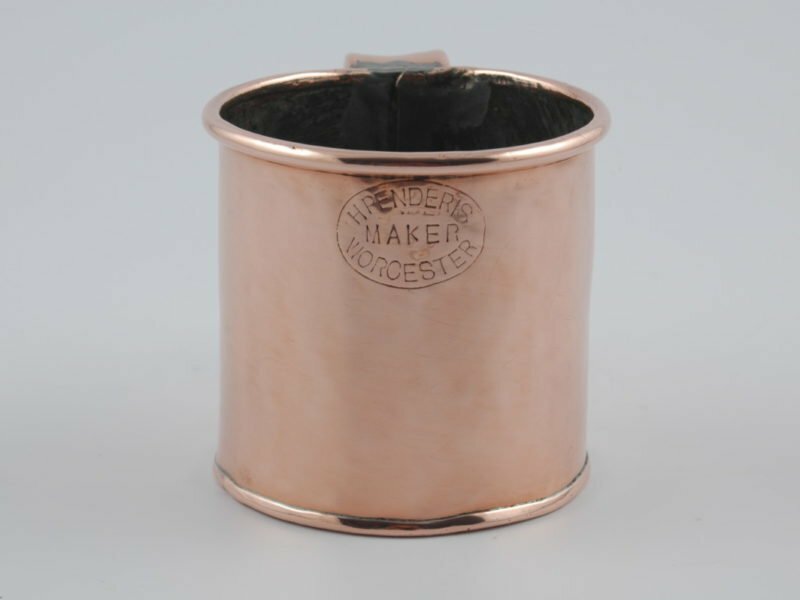 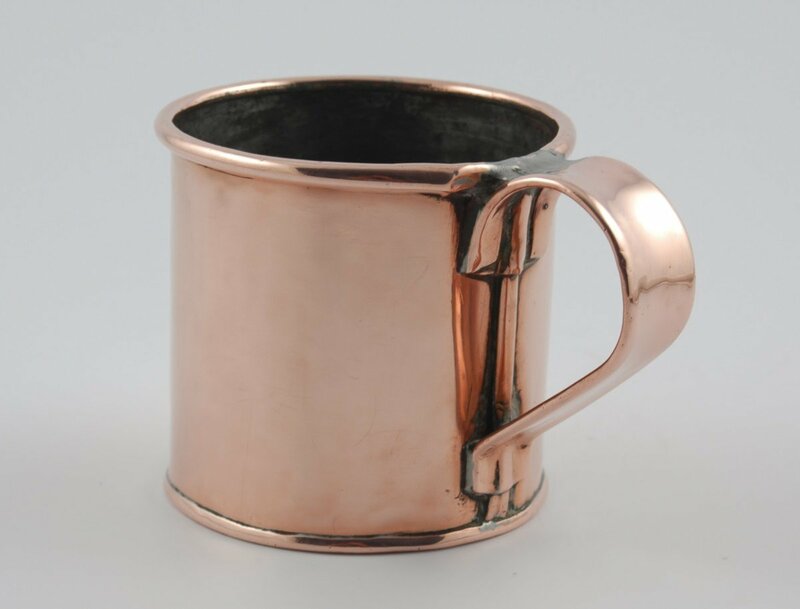 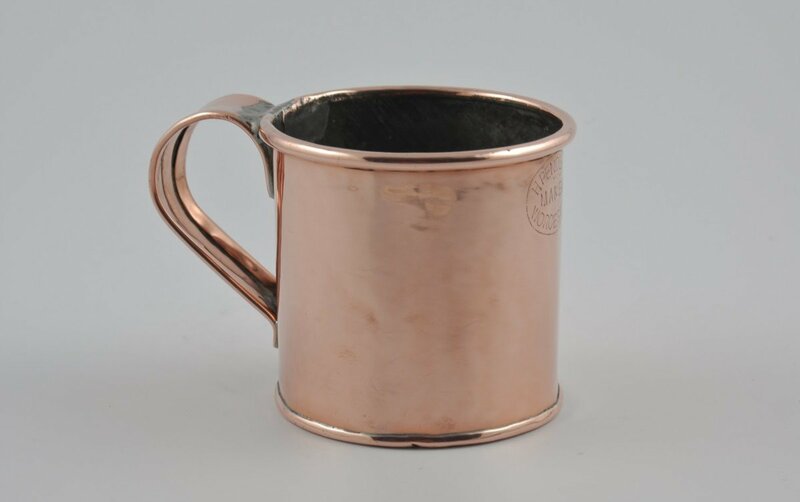 Cape copper mug by Hendrik Penderis, Worcester circa 1920. 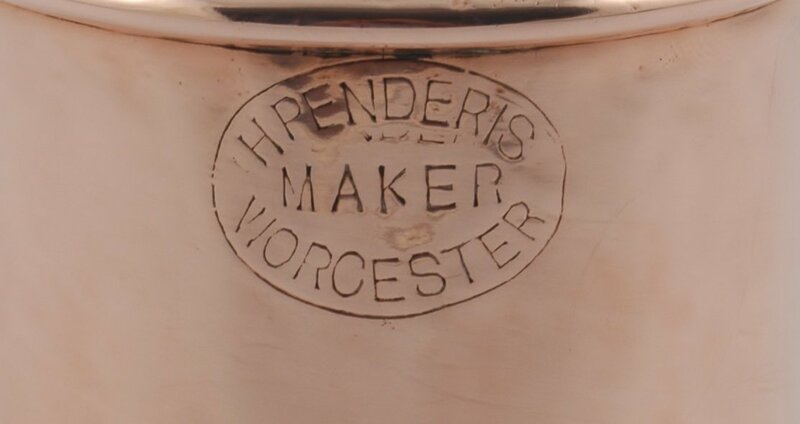 Rare Cape copper mug by Hendrik Penderis, Worcester circa 1920. See Page 118 of ‘The Cape Coppersmith’ by Marius le Roux for a similar example. Dimensions: 8,2 cm high by 8,5 cm diameter.